The blowout of well Standard Sesnon 25 in the Aliso Canyon Field resulted in the temporary displacement of thousands of residents in the community surrounding the Aliso Canyon field and demonstrated vulnerabilities to the California energy supply chain that placed at risk the energy reliability to 21 million customers in the greater Los Angeles Basin. The broad health and environmental impacts are still being investigated as many of the contaminants released are known to be toxic at high doses but have limited health impact data for long- term chronic exposure. The event substantially increased the amount of methane emitted to the atmosphere for the entire state, and consequently the amount of greenhouse gas pollution emitted due to the state's economic activities. 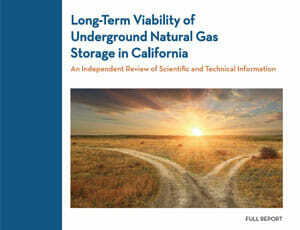 Because of this incident, the State of California sought more information about all of the underground natural gas storage fields in California. 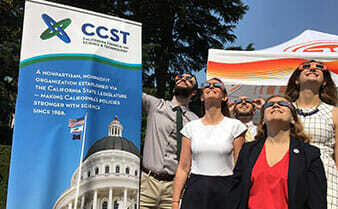 The California Public Utilities Commission, in consultation with the State Energy Resources Conservation and Development Commission, the California Air Resources Board, and the Division of Oil, Gas, and Geothermal Resources within the California Department of Conservation commissioned the California Council on Science and Technology (CCST) to conduct an independent, scientific assessment. 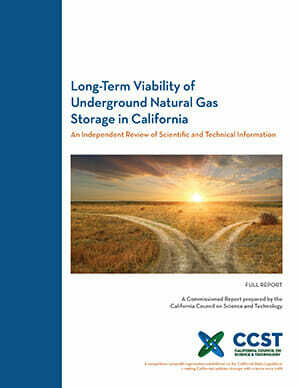 The CCST report will assess the long-term viability of gas storage facilities in California. The assessment will include an evaluation of the current state of the thirteen gas storage fields in California, a broad review of the potential health risks and community impacts associated with their operation, fugitive gas emissions, and the linkages between gas storage capacity and California's current and future energy needs. Recommendations to public policy makers will be made where appropriate. The scope of the study covers three key questions. What are the risks to health, safety, environment, and gas storage system infrastructure at California's subsurface gas storage facilities? In the near term (through 2020), what role does gas storage play in gas supply reliability and in meeting the demand for electricity? Given greenhouse gas goals for 2030 and 2050, what viable gas storage facilities and other gas infrastructure will the state likely require? CCST established an interdisciplinary steering committee to oversee the effort that included experts in technical areas relevant to underground natural gas storage and its impacts in California. Dr. Jane C.S. Long and Dr. Jens Birkholzer served as the co-chairs for the project and Lawrence Berkeley National Lab (LBNL) and Aspen Environmental Group (Aspen) were the primary research institutions supporting CCST in writing the report. 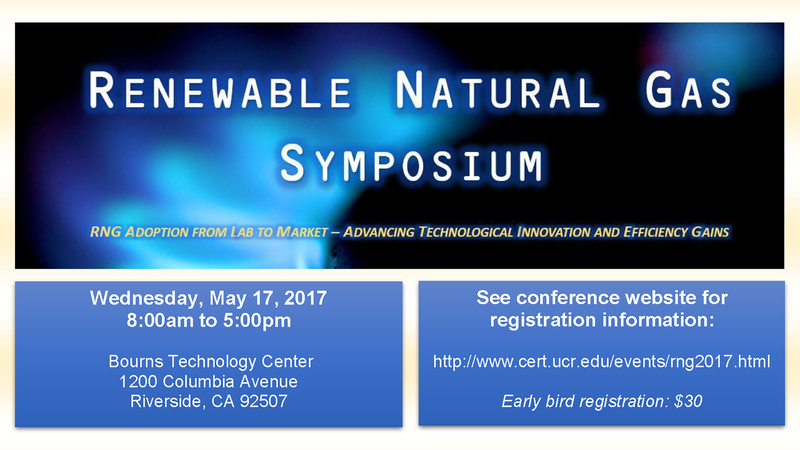 CCST will deliver the final report following peer review to the CPUC by December 31, 2017. This study will be conducted as a synthesis of existing publicly available data including the results of many currently on-going or recently related studies, protocols and proposed regulations. The quality of the assessment will depend on the quality of the information and time available for the study and the study will include an assessment of data adequacy and limitations posed by time constraints.